Indian based iron ore producer, NSL Consolidated (NSL) has received a commercial purchase order for 20,000 tonnes of its premium product produced by the Phase 2 wet beneficiation plant which will be supplied over the coming months. The purchase order issued by Infinity Ores is for NSL’s 63% Fe filter cake (wet plant product). The negotiated sales price for the initial purchase order is AU$65 per tonne (ex gate sales price). Payment is to be made in advance based on 1000 tonne lots. This follows an order for 4000 tonnes of the same product at the same price in February, an encouraging development as it demonstrates the broad acceptance of the company’s wet plant material, as well as introducing an additional client and revenue stream. What comes of this revenue stream remains to be seen and investors should seek professional financial advice for further information if considering this stock for their portfolio. Underlining the significance of this development, NSL’s Managing Director, Cedric Goode said, “The NSL team is very pleased to have now received an order from another customer, Infinity Ores, indicating a growing demand for the NSL product”. Goode highlighted the fact that this has allowed NSL to diversify its customer base, along with better commercial terms which includes prepayment for the product. 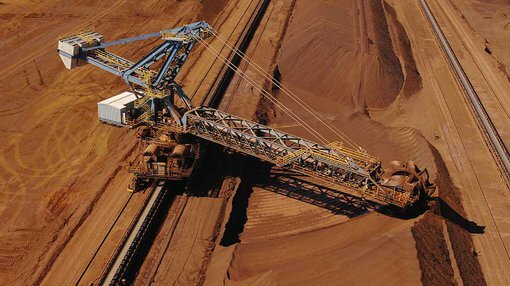 He also noted that better commercial terms were being assisted by continued strength in the local domestic price, an encouraging dynamic for NSL’s domestic operation at a time when the global iron ore price has come off substantially. It is important to note that these early positive developments have occurred ahead of the company ramping up to a 200,000 tonnes per annum operation producing product grading between 58% and 62% Fe.